My favorite music is hip hop and R&B. Something about the heart-thumping beat makes sense to me. 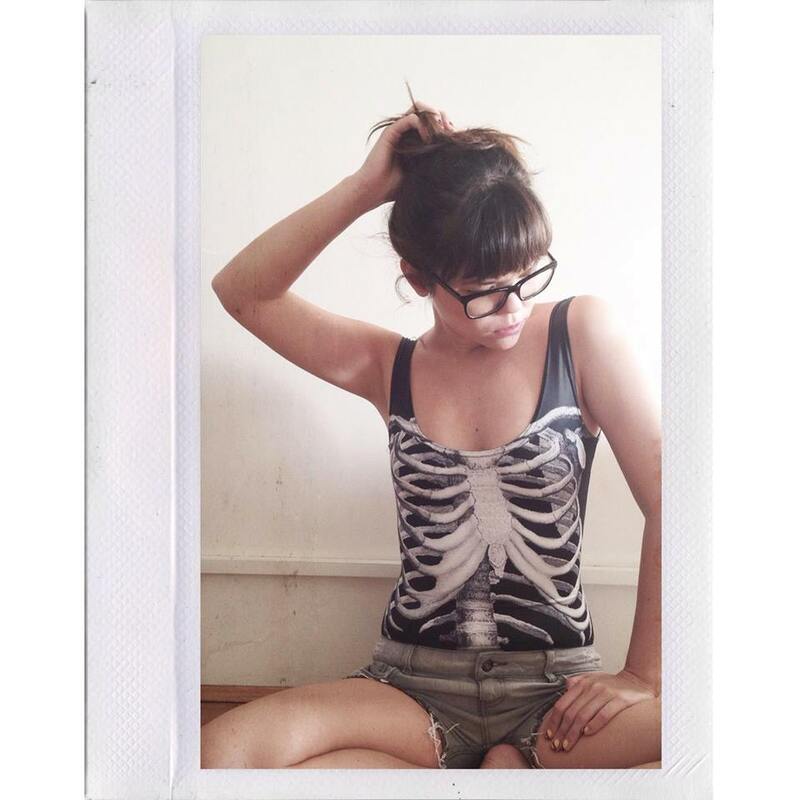 Something about the rhythm feels natural to me. An all time fave has been Biggie’s Hypnotize because of that thumping beat that makes your head instinctively bob up and down. Anyway, you may have guessed that Big Poppa’s on Oxford Street is named after The Notorious B.I.G. So if music choices at a venue are important to you, you better like hip hop if you’re coming here. I drink a Bloody Rippa cocktail to start (I sound odd ordering this because I have an American accent – like I’m making fun of the Australian drawl). It’s a tangy, bittersweet beverage made with sweet vermouth, Campari, prosecco, and blood orange. 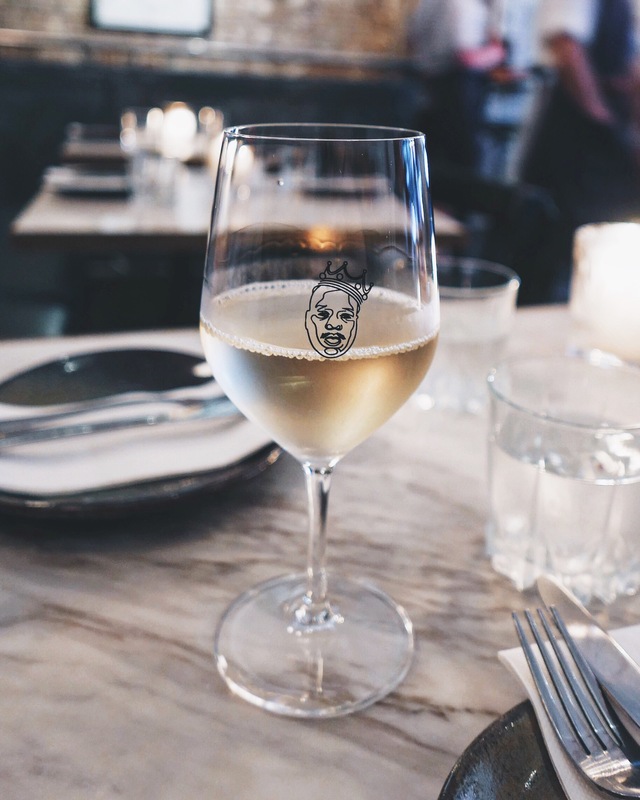 Eric goes for wine and to our delight it’s served in wine glasses with The Notorious B.I.G’s face on it. I would honestly love to buy these to use at home. As for the food, the burrata with heirloom tomatoes, fig vino cotto, toasted farro, and smoked sea salt is faultless with a good balance of honey-like sweetness and salty cheese. It’s time to pasta (YASSS). 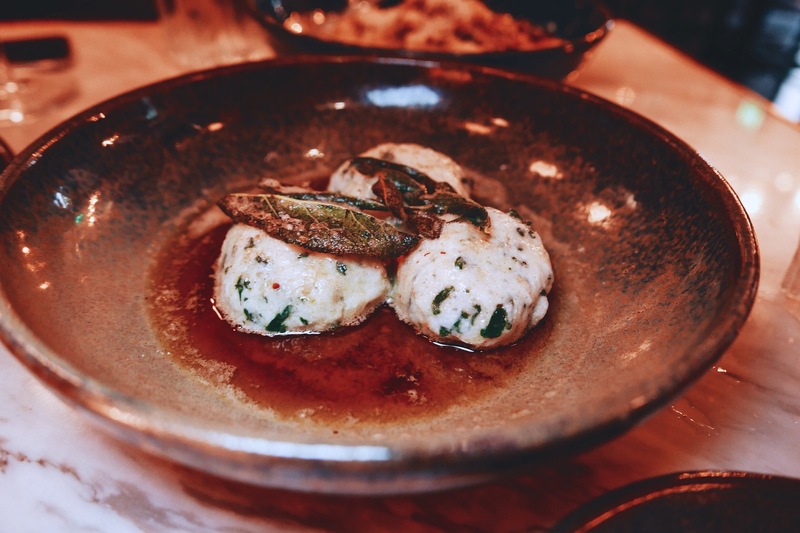 The nettle gnudi, round pillows made with nettle, ricotta and goats cheese are resting in a super delicious sage burnt butter sauce. A great start. 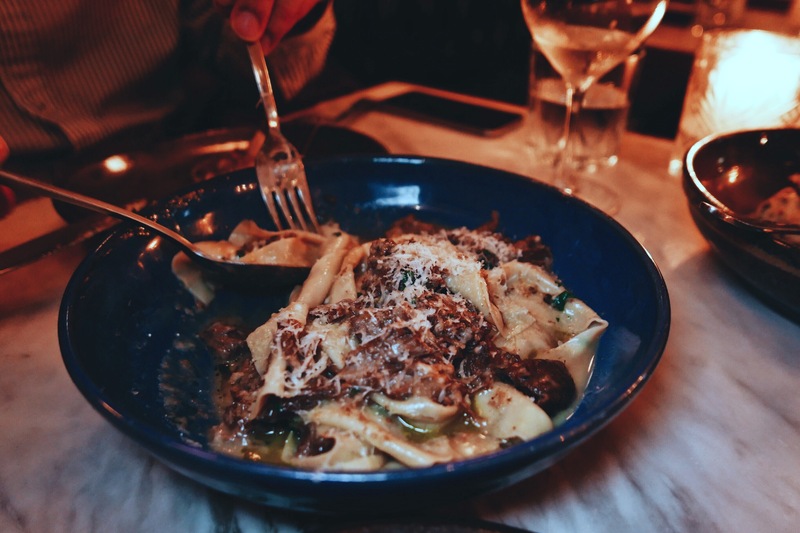 The hand-cut pappardelle with lamb shoulder ragu and parmigiano reggiano is equally good. It’s not as deep in flavor as some other ragus I’ve come across, but super savory with a lovely, creamy mouthfeel. Both pasta dishes are heavy with salt, but I love salty food so it suits me well. We finish with a round of cheese because that’s what Big Poppa’s is really about. We go for the Delice des Cremiers and Gorgonzola dolce latte served with bread, lavosh, and grapes. I just wish that there hadn’t been olive oil drizzled over the bread and lavosh because the flavor of the olive oil at times overpowered the cheese. A very minor qualm for an otherwise excellent meal. Haha I’m with you on those wine glasses, totally want a set for home! Whoah the gnudi look and sound incredibly good!